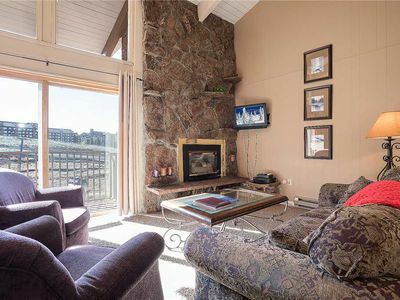 SPECTACULAR views, Dog Friendly, Owner Operated, 1 mile from Gondola. 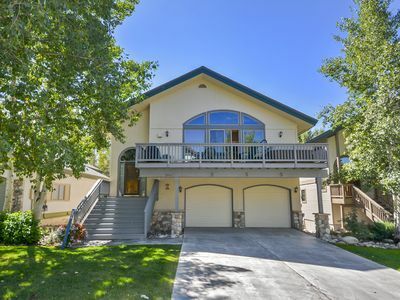 Nestled on a private cul-de-sac of only 16 single family homes, Fuller Daze Lodge has 3 bedrooms, 2½ baths. 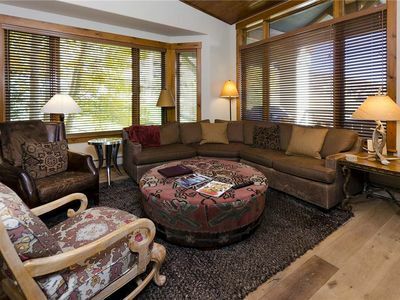 This classy but cozy vacation home rental can accommodate up to 8 guests and is located just one mile from Gondola Square. 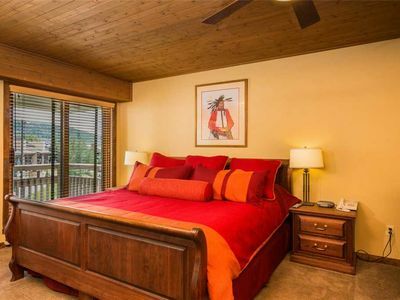 The Master Suite is on the top level of 3, and has a King size bed, a desk area, walk-in closet and dresser. The Master Bath includes a stand alone shower, commode, an oversized vanity and jacuzzi tub. 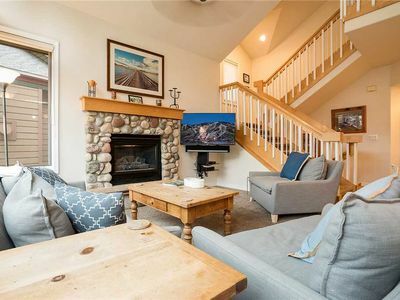 A half level down from the Master is an open floor plan main Living area, consisting of the Kitchen, Dining Room and Living Room with a gas fireplace, as well as a half bath. 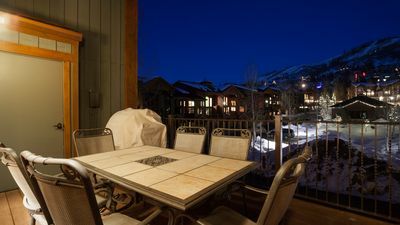 Sliding glass doors take you outside to a large deck with a table and chairs, and a new 7-person Hot Springs hot tub with amazing views clear to Wyoming. The lower level houses Bedroom #1 which has two full size beds, a dresser, an in-room vanity and closet. Bedroom #2 has a queen bed, two twin bunk beds, a dresser and a closet. Each lower level bedroom has sliding glass doors to an outside patio; these rooms share a full bathroom. Also on the lower level is the laundry room, a Finnish sauna and a supply closet (we provide most household items, as well as linens, condiments and some spices). 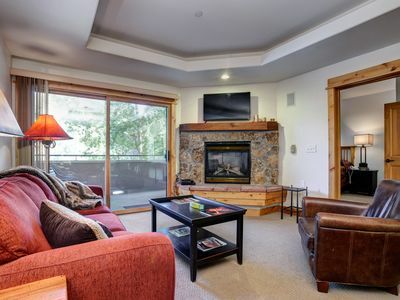 We are licensed by the City of Steamboat Springs for Vacation Rentals, license #VHR-07-37. 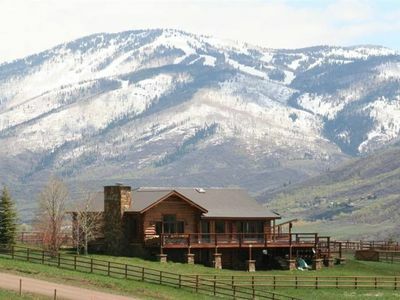 The spectacular views are truly what separates our home from other vacation home rentals in Steamboat. 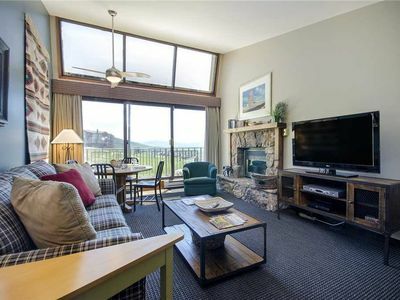 Every room either looks up at the Gondola and National Forest or out over the Yampa Valley, Dakota Ridge and the Flattops Mountain Range. 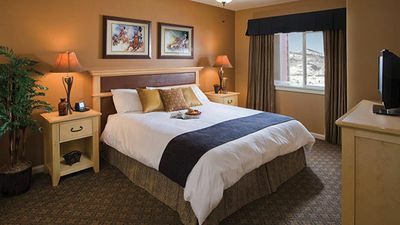 Hi-speed internet is included, and every bedroom has a flat-screen TV connected to 140-channels of cable. The main living area has a flat-screen TV in High Def, a stereo, CD and DVD players. The master bathroom offers private soaking in a jacuzzi tub and there is a Finnish sauna on the lower level. The oversize deck has a table and chairs, and a brand-new Hot Springs 7-person hot tub with amazing foot jets to soothe tired feet after a day of play in the sun or snow! There is a ski rack for ski storage in the garage and a boot rack in the landing as you enter the home through the garage. 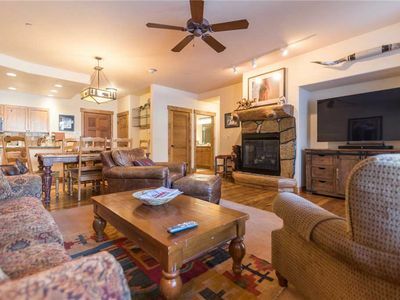 We tried to think of everything Colorado ski resorts offer, with all the comforts of home in our vacation rental by owner! Fuller Daze Lodge is more affordable than a hotel, and so much more personal and fun! 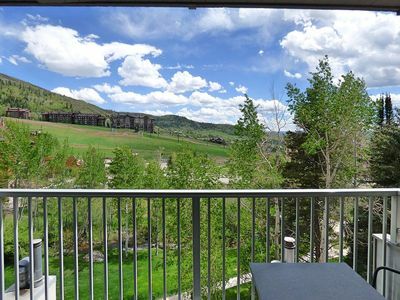 For only $500 per night during ski season and $350 per night in the summer months, plus cleaning and pet fees, if applicable, you can have all the comforts of home in one of the best rentals in Steamboat for more than 25-years! We typically rent Saturday-Saturday, and require a 5-night minimum. Standard cleaning fees are $200 and cover 4-hours, which is what our team requires to turn over the house. 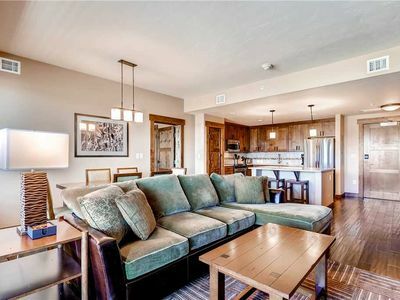 As one of the few pet friendly rental homes in Steamboat, we welcome your furry friends to come along on vacation for only $125 per pet (limit 2). 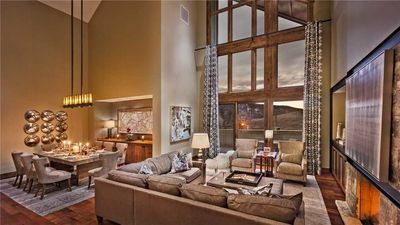 Christmas and New Year weeks are $5,000 per week, plus cleaning and pet fees, if applicable, and have a 7-night minimum. To secure a reservation, we require a 50% cash deposit with the balance due 60-days before check-in. If you need to cancel, our policy is a full refund if cancelled more than 60-days out; if cancelled within 60-days of a reservation, we will prorate your refund if we are able to rent the property to another party for some or all of the dates held for you. We are a non-smoking property with local managers who check guests in and out; we only ask that you treat our home as you would your own, and leave it in the same condition in which you found it. 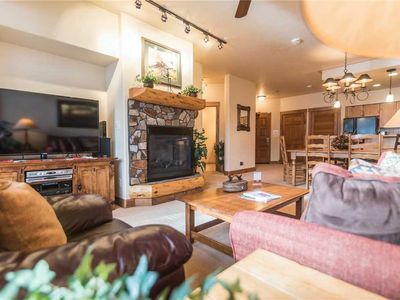 We have rented our Steamboat Mountain Resort for over 25-years and welcome you and your furry family members to experience the best this mountain town has to offer at Fuller Daze Lodge. 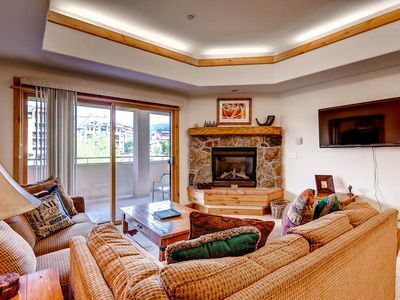 SM352 by Mountain Resorts ~ Top Floor Condo with Fantastic Views & Hot Tub! 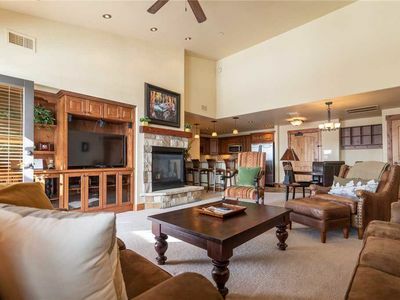 Beautiful 2 Bedroom / 2 Bathroom Condo w/Onsite Pool, Game Room & More! 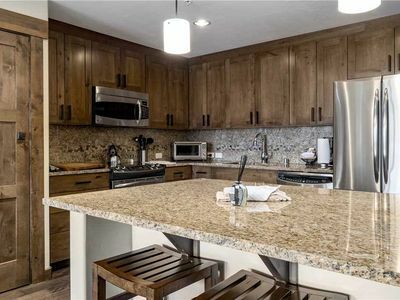 Deluxe Condo w/Private Balcony, Modern Kitchen, W/D & Pool Access! 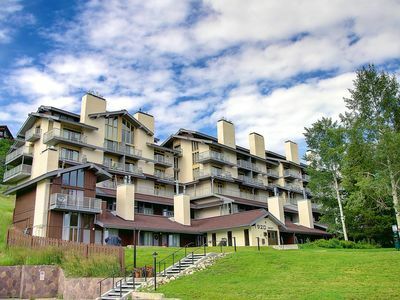 Amazing Mtn Condo w/the Perfect Location & Loaded with Amenities! 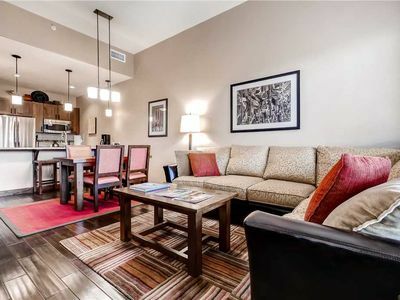 Stylish 4 Bedroom Condo w/Open Floor Plan, Pool & More! 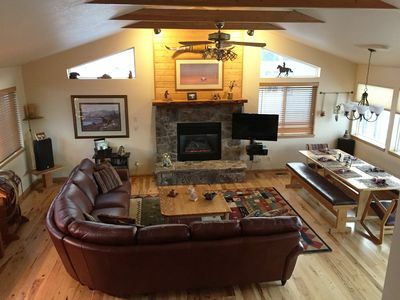 Delightful Steamboat Log Home - easy 10 minute drive to slopes, pet friendly! Visit Fish Creek Falls for spectacular fishing!